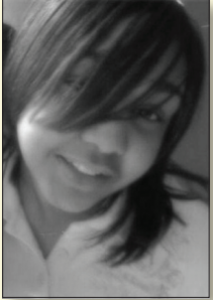 Prosecutors Allege Teen Was Sexually Abused Before Her Murder | Homicide Watch D.C. | Mark every death. Remember every victim. Follow every case. Robert Carter is accused of killing his 13-year-old daughter Angel Morse on Oct. 29, 2010, before fleeing the family home in Northwest Washington, carjacking a MetroAccess vehicle and crashing in Prince George’s County. But prosecutors now say that Carter may have also been sexually abusing Morse and they are seeking to introduce evidence of abuse at trial. Carter, 41, walked with a cane and sat quietly during a hearing before Judge Thomas Motley on Friday to evaluate his mental competency to stand trial. At a hearing in July 2011 Carter pleaded innocent and his attorney, Steven Kiersh, has filed notice that he will be using an insanity defense at trial. Something was happening. I don’t know what it was. I was outside my body looking at my body do things. I seen this before. I was upstairs on the second floor and Angel was on the first floor looking at TV. I got the gun out of my closet and came downstairs. She looked up and I grabbed her and pulled her down in the basement. There was something evil in the house. God had showed me all this evil before. Something pulled me into the basement- it was like I was just watching and I seen myself look back and me taunting myself- like I’m just looking, watching, looking at me-looking back at me… I killed her… After that I called my cousin and told him it was an accident- told him what happened. He told me to call an ambulance. I told him she was already dead. She wasn’t moving. New documents filed by prosecutors this month allege that Carter may have sexually abused Morse and had a history of drug abuse. Assistant U.S. Attorney David Gorman declined to specify in court how the government would use evidence of sexual abuse to rebut the insanity defense. Prosecutors say Carter had a history of sexually abusing his daughter. Morse told family members a few weeks before her death that Carter had gotten into bed with her and touched her inappropriately, according to the filing. Prosecutors say family members confronted Carter about the behavior and he apologized to Morse. The Us Attorney’s Office is seeing life in prison without the possibility of parole for Carter. His trial is scheduled to begin Nov. 5.